William George Hemmer was born on 14 November 1964, in Cincinnati, Ohio USA, to Georganne M. Knittle, a former high school teacher, and William R. Hemmer, a retired executive salesman for Serta Mattresse. He is a journalist, TV host and news anchor, best known for co-hosting the Fox News Channel news/talk program “America’s Newsroom”. 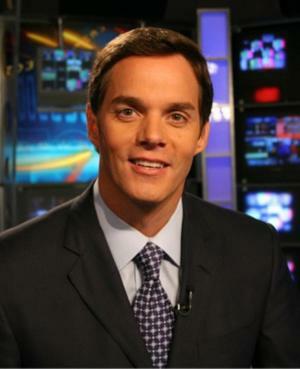 A noted news personality, how wealthy is Bill Hemmer now? According to sources in late 2016, Hemmer has established a fortune over $3 million. His net worth has been acquired largely during his career in journalism, which began in the late 1980s. Hemmer grew up in Cincinnati, along with his four siblings, where he was educated at Our Lady of Victory (Cincinnati) Catholic school, and then at Cincinnati’s Elder High School, starting a radio program and playing music during the breaks. After matriculating from Elder, Hemmer enrolled at Miami University in Oxford, Ohio, obtaining his Bachelor of Arts degree in Broadcast Journalism. He also attended the Miami University Dolibois European Center in Luxembourg. While at college, Hemmer took an internship as a radio DJ at WMUB-FM, WOXY-FM and Cincinnati’s NBC affiliate. During his senior year, he started to work at WLWT-TV as a sports producer, and then as the main weekend news presenter at CBS affiliate WCPO-TV. At the age of 26, he took a break from the news to travel around the world, during which he created a short documentary called “Bill’s Excellent Adventure”, which earned two regional Emmys, Best Entertainment and Best Host. Upon returning home, Hemmer began working as a news reporter at WCPO channel. Shortly after, he got the job at international headquarters at CNN in Atlanta, where he would spend the next ten years. While at CNN, Hemmer hosted numerous programs, such as “American Morning”, “CNN Tonight”, “CNN Early Edition” and “CNN Morning News”. Among his coverings were the 1996 Centennial Olympic Park bombing in Atlanta, for which he earned an Emmy Award; the Florida election recount of the 2000 US presidential election; the September 11(9/11) attacks in 2001; the Quecreek Mine rescue in 2002; the buildup of American forces in the The War on Terror and Operation Iraqi Freedom in 2003; the Democratic and the Republic Conventions in 2004; and the death ceremony of the great Pope John Paul II in 2005. His reports and coverages made him a recognized figure in the industry, as well as significantly adding to his net worth. In 2005, Hemmer began working for Fox News, where he has since handled various coverage, such as that of the Hurricane Katrina aftermath in 2005; the Israel-Lebanon crisis in 2006; the Iraq War; an interview with Barack Obama; and the visit of Pope Benedict XVI to the USA in 2008; the 2009 shootings at Fort Hood, Texas; the aftermath of the 2010 earthquake in Haiti; both the Democratic and the Republican National Conventions; the Sandy Hook Elementary School shooting in Connecticut in 2012; and the Boston Marathon bombing in 2013. He has also covered the 2008, 2012 and 2016 presidential elections. His most recent report has been the deadly terrorist attacks in Paris in 2015. As of 2007, Hemmer has co-hosted the Fox News Channel news/talk program “America’s Newsroom” alongside Martha MacCallum. The program features general news coverage, as well as discussions on issues currently in the news, with guests in the studio. Speaking about his private life, Hemmer hasn’t been married yet, but has a longtime girlfriend, the model and actress Dara Tomanovich. He is involved in philanthropy and various community work; he co-established the MUDEC scholarship awarded to a student needing financial help to attend the Miami University Dolibois European Campus in Luxembourg, and has formed the William G. Hemmer Scholarship awarded to a student attending Elder High School, having an interest in journalism and world travel. TV Shows "America's Newsroom", "American Morning" (2001-2011), "CNN Morning News", "Fox Online" (2006-2007), America's Newsroom (2007-), "CNN Tonight", "CNN Early Edition"
1 His first job had him working, on school nights, until 2:00 A.M. and his mother had to pick him up at work. She finally encouraged him to find another job. 2 Attended Our Lady of Victory Catholic parochial school before graduating from Elder High School in Cincinnati, Ohio, and holds a B.A. in Mass Communications from Miami University in Oxford, Ohio. 3 Son of William Hemmer, a mattress executive, and Georganne Knittle, a former high school teacher. They were married on August 5, 1961. 4 His niece is an intern at the Cleveland Clinic. 5 A native of Cincinnati, he is the middle child and second son of the Hemmer's five children.